businesses in the Houston area. Our desktop support experts are available to troubleshoot a wide array of technical issues to ensure that your business runs smoothly. 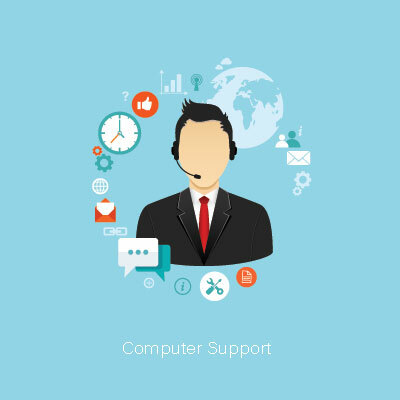 Our computer-support technicians are available 24/7, either via chat or phone call, to dive into the issue you are experiencing and resolve it promptly. We understand not all businesses are the same and every client may have different issues depending on the industry they are in, therefore, our IT support technicians maintain a knowledge base and log the resolutions after resolving the computer issues. The knowledge base serves as a reference so similar issues that arise can be resolved quickly. If you are looking for a computer support provider, then look no further. We provide onsite support and remote support services. Call us now to discuss your IT support needs. We serve individuals and businesses in Houston, Sugar Land, and Katy, TX areas. Contact us at 832-630-4986 to get a free quote or schedule a sales pitch-free, complimentary consultation.